Christmas should be more about spending time with your love ones than trying to make your home magazine perfect and your Christmas table a royalty feast. That’s why you won’t find any overcomplicated holiday recipes on this blog. I’m just trying to value the time as much as I can. And these Orange Chocolate Rum Balls (Paleo, Low Carb) are not an exception. They honestly take minutes to make. However if you are worried that they won’t make it till the big day you can definitely freeze them and take out just before serving. And because these Christmas are all about healthy as well, these are also Paleo and Low Carb (depending on the sweetener you use, therefore depending on your eating style). 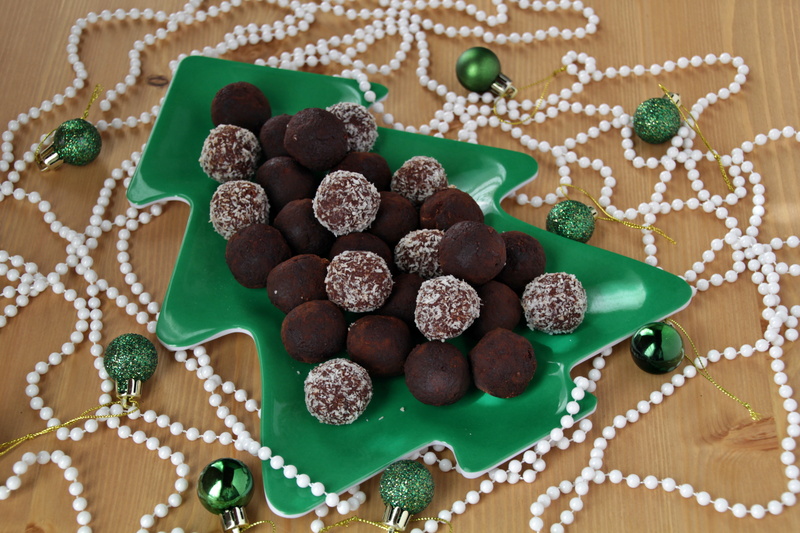 Why I’m even posting Rum Balls recipe when I already have one in the Christmas And Holidays category? Because this one is different and doesn’t require any coconut. 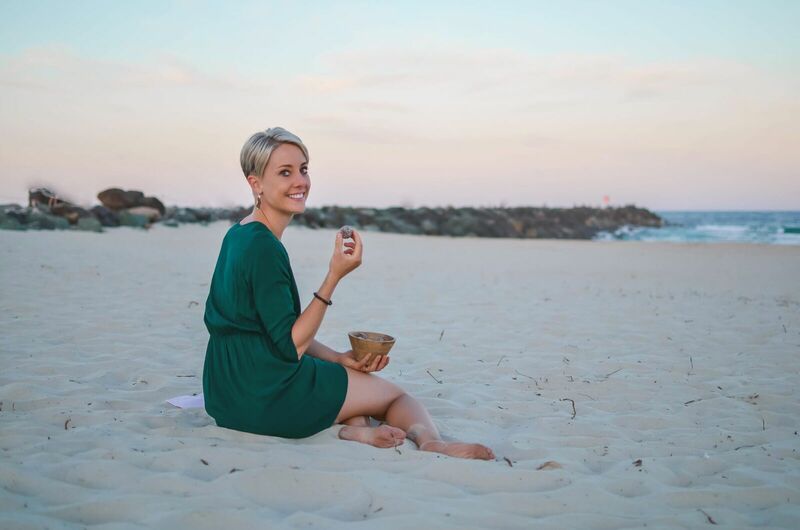 Unless you’d like to decorate the balls with it as on the pictures, but I realise not everyone likes coconut as much as I do. And the orange flavour mixed with the rum gives it a nice Caribbean feel. Give it a try and let me know what do you think. 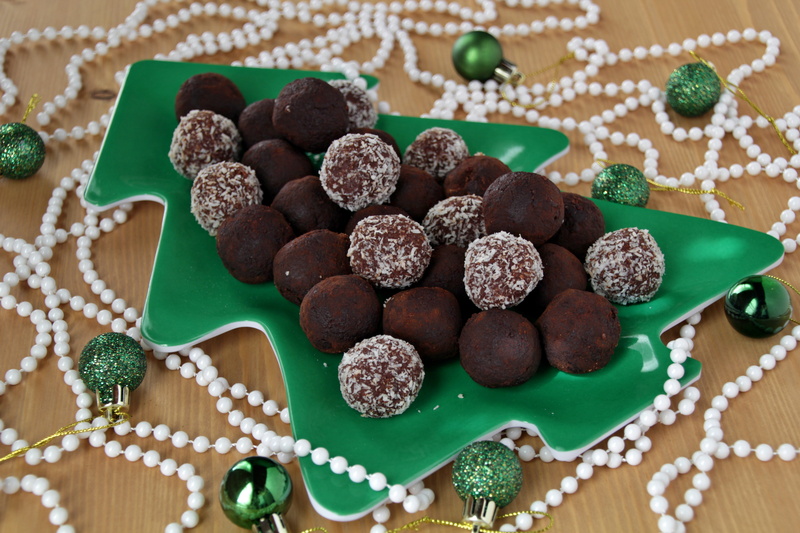 Little twist on the classic - Orange Chocolate Rum Balls (Paleo, Low Carb). No flour or sugar included, just lots of delicious flavour. Place the dry ingredients in a bowl and mix them together. Add the ghee, rum and orange extract and work the dough with your hands, until completely combined. Form small balls from the mixture with your hands. To finish the sweets, roll the balls in a cocoa powder in a separate shallow ball. Refrigerate for at least two hours before serving, so the flavours has time to combine and the balls harden a bit. Serve chilled and do not leave in room temperature for long time as the ghee in the balls would soften too much and they would get a bit more greasy. They also freeze very well, just take them out of the freezer 20 minutes before serving.